South Africa expects captain Faf du Plessis, batsman AB de Villiers and wicketkeeper Quinton de Kock to all return from injuries for the first Test in Durban. Normally, a South Africa-Australia Test series is fast and furious. 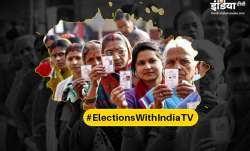 This one may not play out at breakneck speed, but that's still unlikely to calm a frequently fierce contest. The Proteas host Australia with the red ball after successfully defeating India in a three match series 2-1 however unfortunately were hammered by sufferring a loss in a six-match ODI series 5-1 and three-match T20I series 2-1. 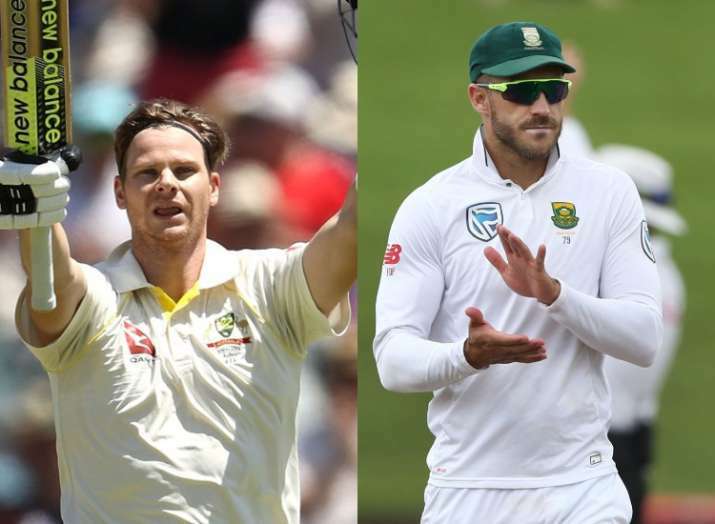 The four-match Test series against the Steve Smith led side will see skipper Faf du Plessis, AB de Villiers and Quintin de Kock back in action after suffering injuries while hosting India. Australia arrives with plenty of firepower for the four-Test battle starting on Thursday in Durban and the presence of quick bowlers Pat Cummins, Mitchell Starc and Josh Hazlewood has South Africa feeling under threat on home ground. Any other team and South Africa would happily serve up fast, bouncy tracks and allow its own pacemen to wreak havoc. But the damage caused by Cummins, Starc and Hazlewood in Australia's Ashes rout of England has South Africa thinking again and possibly seeking slower surfaces for this series. "I'm expecting flatter wickets ... especially with the bowling attacks floating around," Australia spin bowler Nathan Lyon said. "They're (the two fast-bowling attacks) probably the best in the world, in my eyes, going head to head, so it's going to be one hell of a series, that's for sure." Slower surfaces won't negate Australia's trio of in-form fast bowlers, but there's so much more to the tourists anyway. Captain Steve Smith is the No. 1 batsman in Test cricket after a stupendous series against England, the Marsh brothers form a mean middle order to follow the likes of Smith and opener David Warner, and off-spinner Lyon provides an additional bowling threat on pitches more suited to spin, like the first three venues for this series. Lyon took 21 wickets in the Ashes, the same as Hazlewood and just one less than Starc and two less than Cummins. "I am very confident in my stock ball at the moment and in my consistency, so I am not going to be changing too much," Lyon said. "It's going to be a great challenge for myself coming up against some of the best batters in the world. To be honest with you I think the best batsmen face me every day in the nets, bowling to Smithy (Steve Smith) every day, the number one batsman in the world, trying to take you down." That recent Ashes form and also nearly 25 years of cricket history both favor Australia. Since South Africa's readmission to Test cricket, Australia has won five of its seven series in South Africa and drawn the other two. So, South Africa still hasn't beaten Australia at home since the last series it played under apartheid, in 1969-70, when it whitewashed the Australians 4-0. And yet, in a confounding run, South Africa has won its last three series in Australia. The results may suggest that the teams have similar approaches, and are therefore adept in each other's conditions. "Our previous encounter is a fond memory for us," South Africa batsman Dean Elgar said of the 2-1 win in Australia in 2016. "Having the ability to beat them in Australia is an encouraging factor knowing that the last time we played against each other we had the upper hand. As with Australia in the Ashes, South Africa also used pace to good effect to beat top-ranked India 2-1 in its most recent series, selecting four out-and-out fast bowlers in every one of those three Tests. But while Australia crushed England, South Africa had to scrap against India, when the policy of four fast bowlers trialed by new coach Ottis Gibson left space for only six specialist batsmen. South Africa survived, but its batsmen underperformed throughout the India series, a dangerous precedent when they must face Cummins, Starc and Hazlewood next. South Africa expects captain Faf du Plessis, batsman AB de Villiers and wicketkeeper Quinton de Kock to all return from injuries for the first Test in Durban, while Temba Bavuma or the uncapped Heinrich Klaasen may force their way into the 11 to give South Africa the safety of an extra batsman. In a late surprise, fast bowler Morne Morkel will play his last games for South Africa after announcing just before the series that he'll retire from internationals after the fourth Test. Morkel said his decision was partly because of his desire to spend more time with his Australian wife. "For now, all of my energy and focus is on helping the Proteas win the upcoming series against Australia," Morkel said.